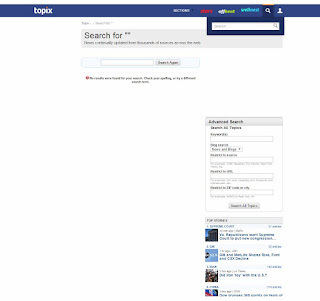 Topix was launched in 2004 as a news search engine. Topix was launched under the domain topix.net, and in 2007 topix.com was acquired and moved there. In addition, volunteers and over 100 journalists and editors from various already registered newspapers were invited to work on topics of their choice. The focus was now increasingly on content generation. Topix created a community newsroom platform and a popular forum system that allows users to comment on news articles and the activities of local communities. In addition, forums were created that were organized by location as well as by topic, allowing visitors to post comments whether or not they were relevant to a particular newscast. In 2017, the search was stopped, and at the end of 2018, the forums were also available. Today, Topix works as a quiz forum. Wikipedia: »It was co-founded in 2004 by Bryn Dole, Rich Skrenta, Bob Truel, Tom Markson, Mike Markson and Chris Tolles, many of whom founded the Open Directory Project. In March 2005, the Knight Ridder (later taken over by The McClatchy Company), Tribune Company and Gannett media companies purchased a 75% share of the company. 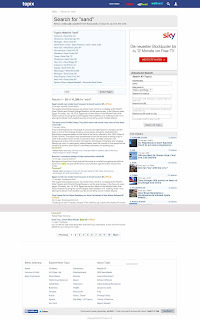 On April 1, 2007, it acquired the topix.com domain name and invited volunteers to edit the topics of their choice, on top of over 100 journalists and editors from various newspapers already signed up. Sometime in 2012 they took that volunteer edit option away without any communication to the thousands of volunteers. Loren Baker (2006): »Topix.net’s News Search indexes 50,000 main stream news sources along with hand picked and human reviewed blogs – covering small town news around the states in a way other news aggregator and search systems cannot. One interesting feature with Topix.net News Search Product is its case sensitive search, which makes searching for news on terms like “IT”or “MIT” much easier. Wikipedia: »A. G. Sulzberger of The New York Times wrote that "The same Web sites created as places for candid talk about local news and politics are also hubs of unsubstantiated gossip, stirring widespread resentment in communities where ties run deep, memories run long and anonymity is something of a novel concept". He added that "Whereas online negativity seems to dissipate naturally in a large city, it often grates like steel wool in a small town where insults are not easily forgotten". Various local governments censured the Topix forums. Many lawsuits resulted from content posted on Topix.